Right, stop that!... its just silleh! A weather man is reluctantly sent to cover a story about a weather forecasting "rat" (as he calls it). This is his fourth year on the story, and he makes no effort to hide his frustration. On awaking the 'following' day he discovers that it's Groundhog Day again, and again, and again. First he uses this to his advantage, then comes the realisation that he is doomed to spend the rest of eternity in the same place, seeing the same people do the same thing EVERY day. The whole concept of it!!! What would you do if you woke up and it was the same day and everything from the night before was reset? Phil: Well, what if there is no tomorrow? There wasn't one today. Phil Connors: Excuse me, where is everybody going? Fan on Street: To Gobbler's Knob. 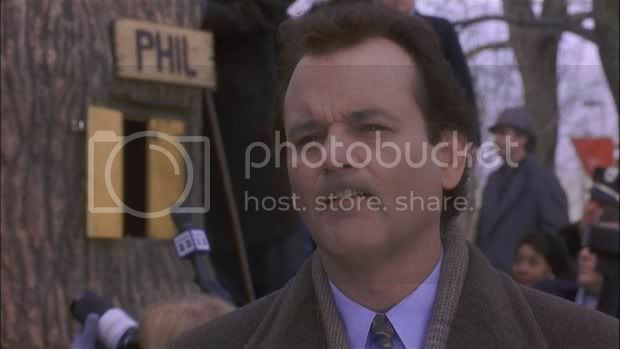 It's Groundhog Day. Phil Connors: It's still just once a year, isn't it? 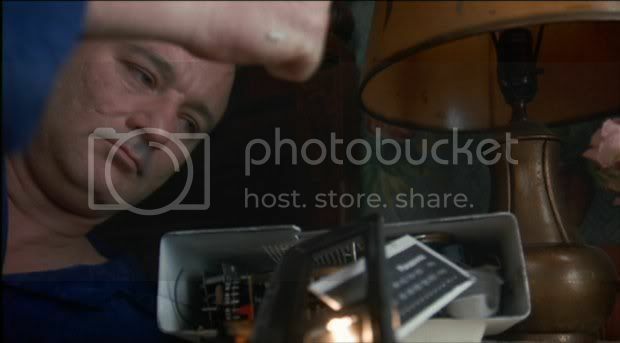 Phil at the piano teacher's house, when he is fumblingly playing Sergei Rachmaninoff's "Rhapsody on a Theme by Paginini", is actually Bill Murray playing. He does not read music, but he learned that much of the song by ear.